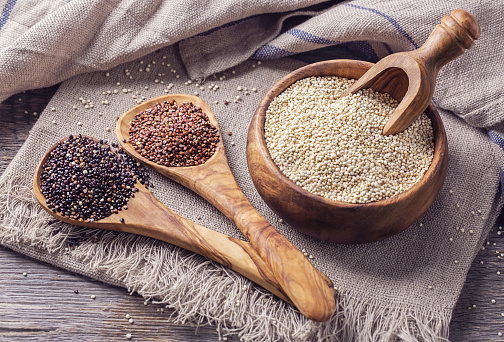 11 Healthy Gluten-Free Grains Instead of Wheat! Home » Gluten Free Recipes » 11 Healthy Gluten-Free Grains Instead of Wheat! Eating gluten-free grains are more than a fad; many people realize that they need to eat gluten-free grains to feel good. This is because they either have gluten sensitivity, celiac disease or simply don’t feel well on wheat. This can be very challenging as wheat is in so many foods in our culture, but there are many great alternatives. These eleven gluten-free grains are filled with health benefits and are a great addition to our gluten-free meals. Rice feeds the world! Three billion people worldwide depend on rice for over half of their daily calorie intake making it the most popular of the gluten-free grains. Unfortunately, most of them eat white rice. Millet has always been a favorite grain of mine since I discovered it in my hippy days in the 70’s! 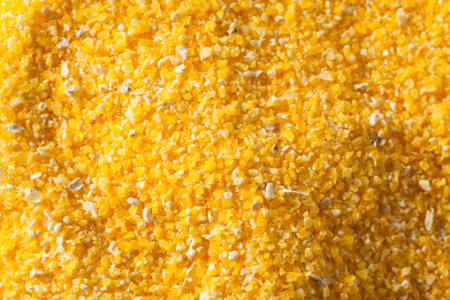 Read about 12 Health Benefits of Millet…the Alkalizing Grain! some interesting trivia and history, 10 tips on how to use it, and 3 delicious millet recipes. We use millet in the Healthy Online courses. Besides all the health benefits, it is tasty and economical. Cornmeal is one of my favourite gluten free grains. It is an excellent source of iron, magnesium, phosphorus, zinc, and vitamin B-6. And is good for weak digestion, heart disease, high blood pressure, edema, gallstones. Because corn is often genetically modified, one should only purchase organic corn or corn products. Most individuals get exposed to corn in so many products, often as a sweetener. If you are not eating packaged or junk foods though, corn can be a healthy addition. Your grandma and the Scots ate oats because it is inexpensive and grows anywhere. I eat oatmeal for its taste and nutrition and it’s many other benefits. There is some controversy about whether oatmeal is really gluten-free. Read here: Is Oats Gluten Free? Movie lovers will be happy with this one! Popcorn is an abundant source of fiber, and that it has some B vitamins and minerals such as manganese, magnesium, iron, zinc and phosphorous. Popcorn’s crunchy hull is rich in polyphenols—antioxidants that provide several important health benefits such as protection from coronary artery disease, protection from cancers, healthy blood sugar levels and prevention from premature aging. Sorghum contains large amounts of fiber, protein, and nutrients. In studies it has been shown to possibly inhibit cancer growth, protect against diabetes and help manage cholesterol. Sorghum is significantly more nutritionally dense than ordinary white flour. It is often eaten as a porridge but can also be ground into flour. A major food crop of the Aztecs, Amaranth domesticated between 6,000 and 8,000 years ago. The Aztecs didn’t just grow and eat amaranth, they also used the grains as part of their religious practices. Amaranth contains significant amounts of B vitamins, calcium, iron and Vitamin C. Amaranth may help lower cholesterol. At about 13-14%, it easily trumps the protein content of most other grains. Buckwheat is a valuable food for diabetics as it is helpful for regulating blood sugar. This gluten-free grain is rich in flavonoids like rutin and a good source of magnesium, buckwheat is good for your cardiovascular system. Montina was a staple of Native American diets. Pure Indian rice grass flour is high in protein and fiber, with 17 grams of protein, 24 grams of dietary fiber, and 24 grams of insoluble fiber in just two-thirds of a cup. Indian Grass Rice has a strong wheat like taste. Read the article: Do You Need to Eat a Gluten Free Diet with Dr. Oz’s self-test. Check out some of Diana’s gluten-free recipes. Consider doing a Healthy BootCamp. All of the recipes you receive for the BootCamp will be gluten-free and particularly the upcoming Healthy Baking BootCamp which focuses on gluten-free baking. Get healthy tasty vegan gluten-free recipes and useful lifestyle tips sent to you once a week, subscribe to the newsletter. Brown rice is a superb addition to any meal. It features a rich, chewy texture that would be ideal as a side dish; combined with beans, herbs, vegetables, or chicken; or put into a burrito or soup. An amount of brown rice is a superb source of selenium, which can reduce your cancer and heart disease risk. Since it contains 2 milligrams of vitamin E, this is an excellent antioxidant that can help repair your muscles. It may also help lower cholesterol and reduces the risk of metabolic syndrome, be responsible for obesity, diabetes and blood pressure. Thanks Joy for all the great info. I agree with you appreciation of this (to me) essential food. Love your info but am concerned as is most all corn in North America anyways GMO now and thus highly recommended not to eat any from of what so ever? Hi Sandra. I’m sorry but I forgot to mention in the article that one should only buy organic corn products. My omission but that has been added. Thanks for the reminder. Popcorn is not genetically modified. It’s a much smaller market and Monsanto hasn’t got around to poisoning it yet. Oats are not gluten free. I USED to be Celiac and oats tested bad for me. on the internet to learn more about the isssue and found most people will go along with your views on this website. thank you ffor starting this up. Thiis website is somethinng that iis required on the web, someone with a bit of originality! What a great resource!!! Thank you ever so much for the information!!! Could chronic inflammation in muscle be caused by gluten intolerance? So, what’s the 11th grain?